There's something enchanting about staring out the window from a train traveling through a place you've never been. Then again, that's not to say there aren't ways to, uh, elevate such an experience. Like, say, doing so in a luxurious coach while sipping on unlimited tequila drinks? 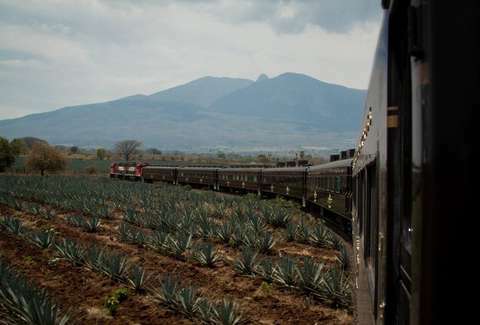 That's what the folks at Jose Cuervo believe, because they're offering a special all-you-can-drink train ride to and from the brand's legendary distillery in Mexico. 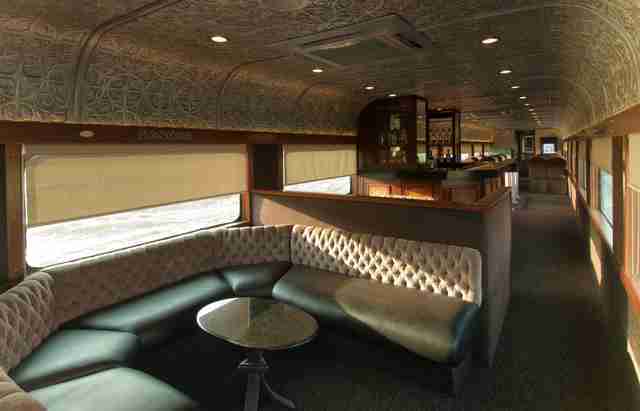 For fans of history and booze alike, the Jose Cuervo Express is a luxurious vintage train that shuttles you from Guadalajara to Tequila, Mexico on an all-you-can-drink excursion through the countryside, before dropping you off to tour the company's iconic 250-year-old distillery. It's not as if Mexico is short on exciting things to see and do, but trust us, you're going to want to add this to the list. The train, which has been around for a few years and runs primarily on Saturdays, offers three different classes of "experiences," though the Premium Plus ticket is the one we'd recommend buying (it's the only one that includes access to the on-board open bar). 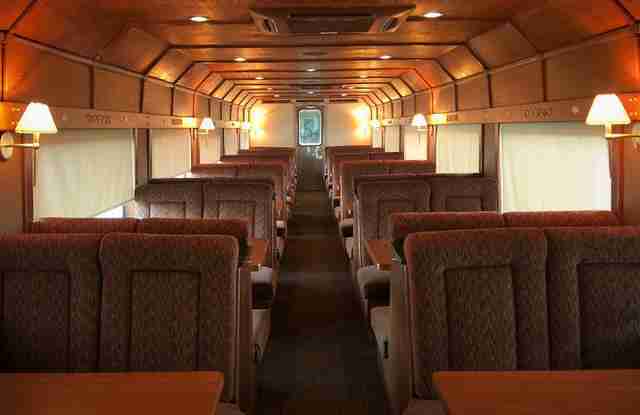 During your trek you'll get to travel in the "most exclusive" coach on the train, and be treated to a number of special perks including seasonal fruit before boarding and an assortment of Mexican snacks and cocktails served to you in your seat. The ride takes about an hour, after which you'll partake in a professional tequila tasting guided by a Maestro Tequilero, followed by a tour of Cuervo's La Rojeña distillery. You'll also have some free time to explore the town of Tequila and grab lunch before checking out a special Mexican cultural show and indulging in a "classical" premium tequila toast, all of which is included in the ticket price. If you're dead set on adding this to your itinerary for your Mexican getaway, you'll want to plan ahead and book a ticket in advance, as they tend to sell out fast. They cost roughly $130 a piece, and you get your pick of whether you'd like to take the train one-way to or from Tequila (you'll be taken by bus to or from Guadalajara, depending on your choice). Of course, if a Mexican vacation isn't in the cards, you don't necessarily have to leave the country to indulge in a scenic and booze-fueled ride on the rails.